It is non-corrosive, non-irritant, non-toxic, water-based and environmentally safe. It is also free of bleach and other products that may cause damage during the cleaning process. Add up to 125 ml for use in a washing machine. Add up to 50 ml to a container of water for rinsing through or soaking your products overnight, leaving them smelling fresh and ready to use the following day. 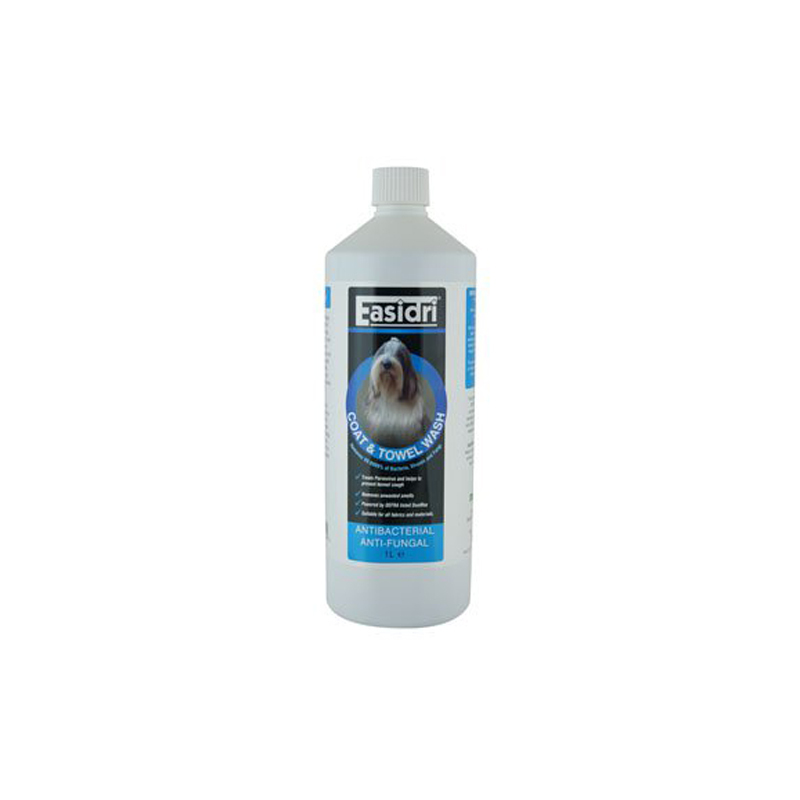 CAUTION: Easidri Coat & Towel Wash is perfectly safe to humans and animals but avoid contact with eyes and do not ingest. If contact occurs, rinse eyes with clean water.